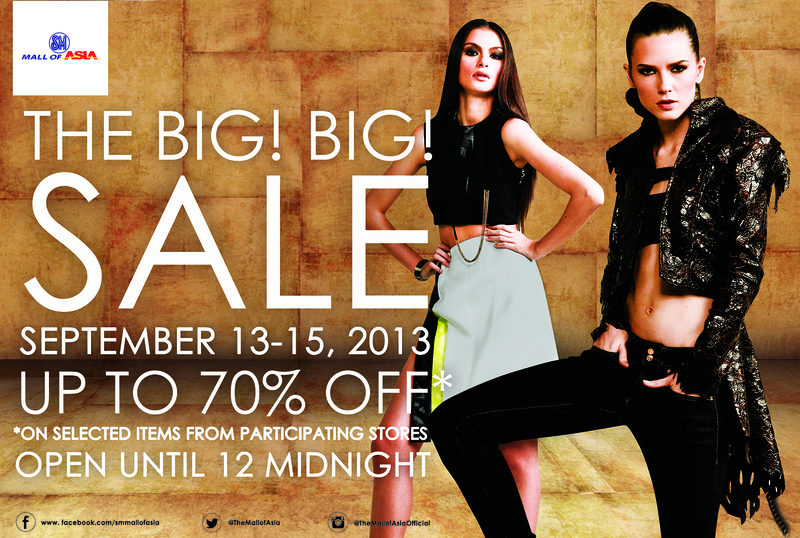 The country’s best mall, SM Mall Of Asia, is having another BIG BIG SALE this September 13-15! Are your wallets ready? No? Not yet? Well then, you’ll love this giveaway! 5 readers will win special gift packs each from SM Mall Of Asia’s participating tenants during the 3-day sale! Want to know who the tenants are? Win gift packs from Shoe Salon, Espada, Plains & Prints, Braun Buffel, The Body Shop and Iora! Follow me (@itscamilleco) on Instagram and Twitter. Like SM Mall Of Asia on Facebook and follow @TheMallOfAsia on Twitter and @themallofasiaofficial on Instagram. Leave a comment below with your Facebook and Instagram names. Post an #OOTD photo of yourself on Instagram and write, “I want to join @TheMallofAsiaOfficial ‘s Big! Big! Sale shopping spree on www.itscamilleco.com. #BIGMOASale #ItsCamilleCoGiveaways” Please do not tag me. This contest is open to Philippine residents only. Deadline for entries is on September 11, 2013 at 11:59PM (GMT +8). I will be choosing the winners via the Instagram hashtags and announcing them here at the comments section below and on SM Mall of Asia’s official social networking sites. Please be reminded to submit one entry only. No multiple entries please. To the winners, prizes are non-transferrable. OMG :”> thank you camille! <3 so happy right now! Super excited!!!! :) hope i win this!! Cant imagine to shop with you!! I think im gonna die!! Waaaahhh!! Super excited for the big big sale! Ate are contestants with multiple entries automatically disqualified? I want to join and Win!